If you have been around the equipment world for longer than a week, then you will be fully aware of the fact that Puma is unafraid of taking risks. 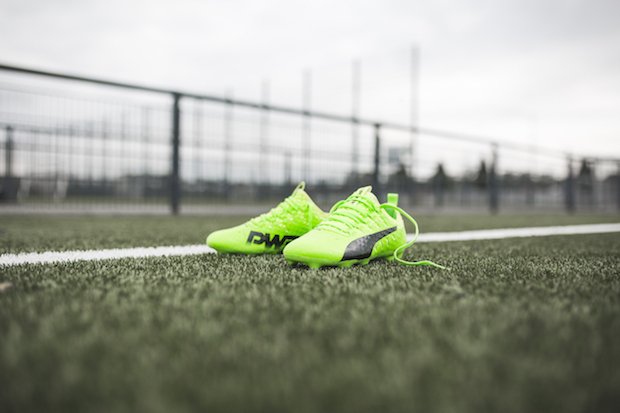 The Big Cat seems to revel in its role as the “bad boy” of soccer brands, and their newest venture only proves the general idea AND the fact that Puma can pull of their craziness while still being successful: enter the POP evoPOWER 1.2. Made up to look like a page right out of a classic comic book, we think that this boot, among a few other current colorways on the market, represents the direction that colorways are headed as 2015 draws to a close. Don’t get us wrong. The one dominant color on an upper or the simple two block color scheme will always have its place, but the future is built for something else. One glance around the market shows us that the production detail on uppers is only going to continue moving into a direction where each boot seems more detailed and unique. 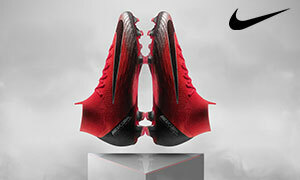 Simply take a gander over at the CR7 “Savage Beauty” or the newest Messi 15.1 and it starts to show what brands are becoming capable of on their products. Could brands allow this type of detail to slowly work itself to where custom boots are customized to an intricate level and where brands start to release themed boots? If there is money to be made, it will definitely happen. Some of the major brands already know what customers will pay for extremely customized gear. Adidas has had Star Wars themed apparel and shoes for years, Under Armour has created a very successful superhero line of compression clothing, and Nike can get a contract with almost anyone that they can bring to the table. Just imagine if these brands took their ability to make such detailed boots and combined it with their corporate deals. Can you imagine how much money players would spend on soccer cleats if adidas released a set of boots with gorgeous and obvious nods to Star Wars after the newest incarnation of a galaxy far, far away hits the globe this December? How quickly would players and fans alike flock to Under Armour boots if an Iron Man Speedform hit the waves or a Superman Clutchfit graced the world’s pitches? 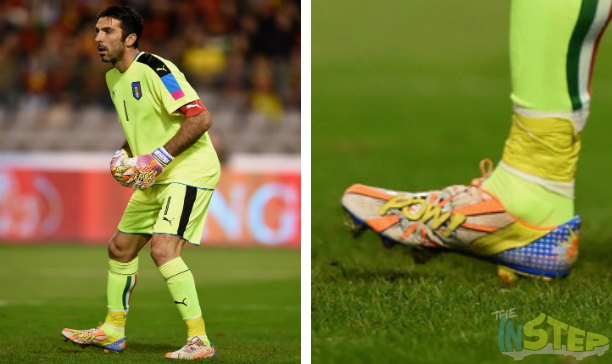 To the masses, it might just seem like Puma is delving further into their “crazy” side. 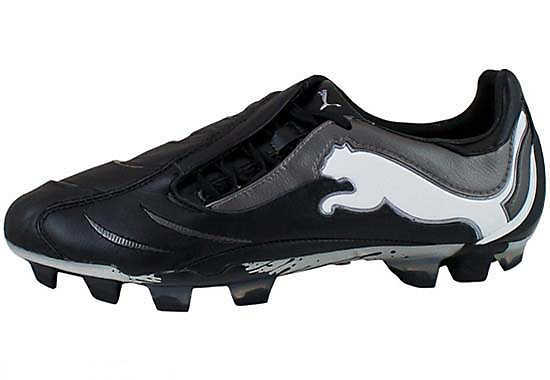 However, from a marketing standpoint, Puma is releasing a boot that appeals to the market-at-large while being an absolute must-have for a very active niche audience. 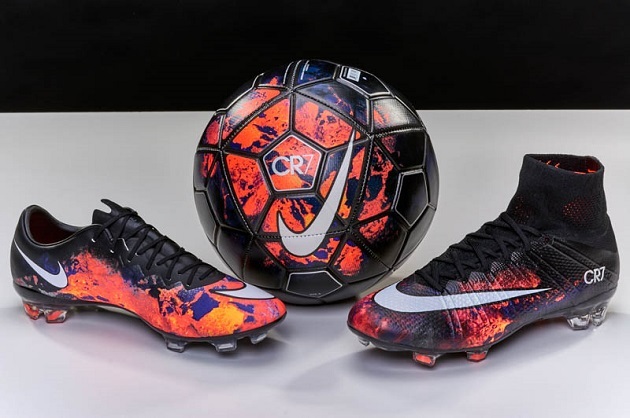 While Messi and Ronaldo’s newest boots don’t exactly appeal to a special niche outside of, well, almost everyone that would want to purchase a new pair of cleats, they show the capability that a brand could mass produce almost anything onto an upper.